Several years ago, on a break between theatrical gigs in Alabama, Mark traveled to Italy and fell in love with the people, food, and culture. Armed with just enough courage, minimal Italian language skills, and a certain proficiency in the kitchen, he enrolled in a full-immersion cooking and language program. He would travel to Viterbo, Italy and live with an Italian family. His teachers were beyond his wildest dreams—he learned to cook from the grandmother, or Nonna, of the family, who prepared every meal in a bustling, busy household, as women in her family have done for generations. Her daughter, Alessandra, taught him the language with patience and precision. Besides culinary secrets and prepositions, they opened their lives to him, and made him a real part of their extensive family. Though the book contains authentic, delicious family recipes Nonna shared with Mark, Beyond the Pasta delves into food memoir subject matter not found in a typical cookbook. It was the day-to-day living, befuddled social interactions, laughing and shopping with Nonna, exploring the countryside and le gelaterie, where he truly developed his language skills, and a new, more joyful and uniquely Italian way of looking at the world. “Mark has captured the essence of the Italian people.” –Biba Caggiano, TV chef, cookbook author, and Sacramento restaurateur. “Alabama and Italy—what a delightful and delicious combination.” –Fannie Flagg, Best-selling author and actress. 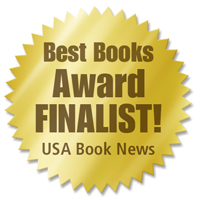 *Also available on the Kindle, n0ok, and iBooks! 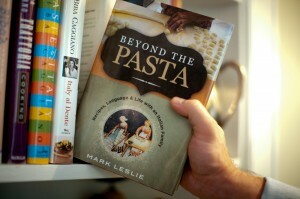 ♦ The book Beyond the Pasta: Recipes, Language & Life with an Italian Family and this website/blog Beyond the Pasta is owned and operated by Mark Leslie. Unless otherwise specified all content, writing, recipes and photography is original and held in copyright through the Library of Congress. It may not be used without the express written consent of Mark Leslie.